On Saturday Elliw and I went out for the day with a friend and her two children. 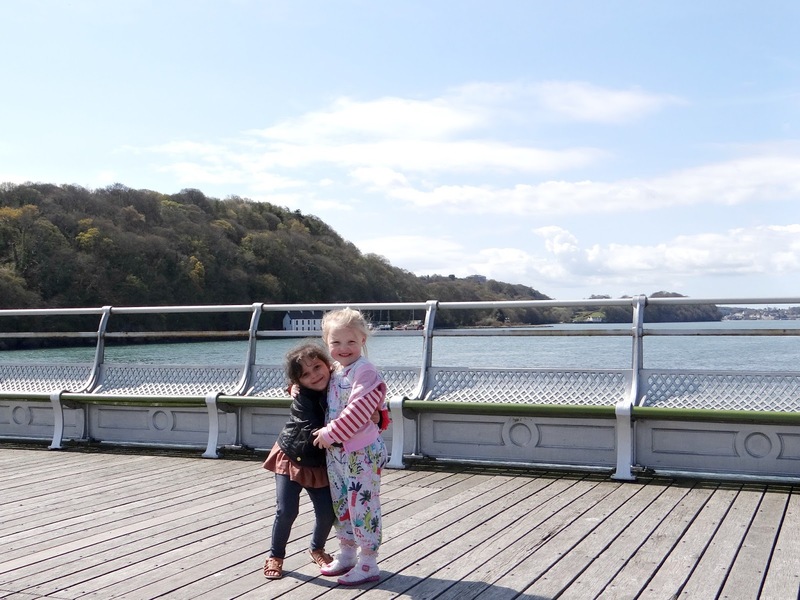 Seeing as the sun was out I thought it would be perfect to have a walk on Bangor Pier. 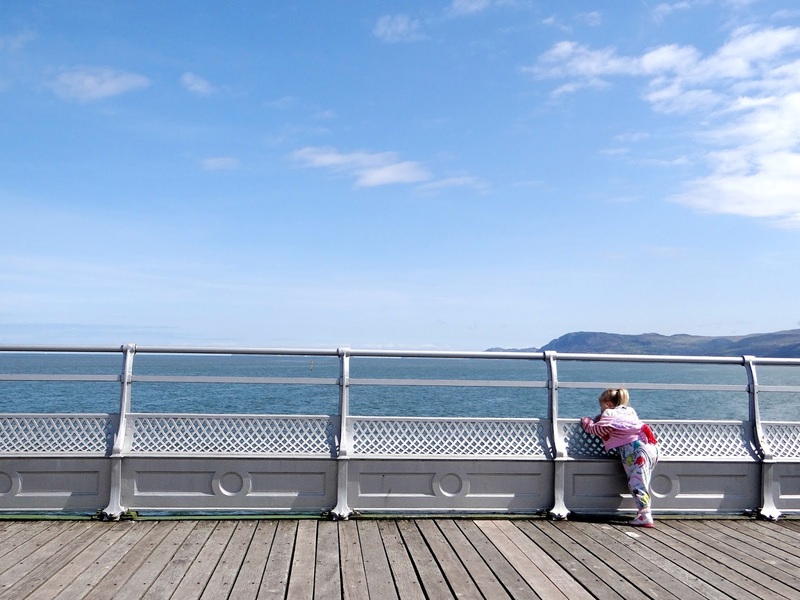 Bangor Pier is just one of the great places you can visit in North Wales. If you are walking from town to the pier you would never think there is a pier at the end of the road but once you get to the pier, it is beautiful. Especially if the sun is out and the skies are blue. They all had a lovely time running around the pier and having little breaks in between. The wind was a little chilly but the more you walked and the more the kids ran we all got pretty warm in the end. At the end of the pier is a little cafe. The kids had an ice cream each before heading off back out on the pier again. It was a simple but lovely day out. Looks like a perfect day! So nice when the weather is lovely and the little ones can run around. looks like such a lovely day for it - I need some sunshine and blue skies in my life! Great photos, lucky the weather was good for your trip. Such beautiful photos! It look so peaceful and relaxing there! You have to love that view! These pics are really cute! I'm glad they had fun! That looks beautiful. Piers scare me a little but your kiddies don't look worried at all. Beautiful photos. Looks like it was a lovely day. Your photos are wonderful, I love Elliw's outfit too! It looks like you had great weather for it! I have still never been to Bangor. I do love a good pier! They bring back such great memories of the seaside. Looks like you chose a great day for it too. These photos are so cute and that picture of them two cuddling is the cutest thing ever! Great photos it looks like it was a beautiful day! 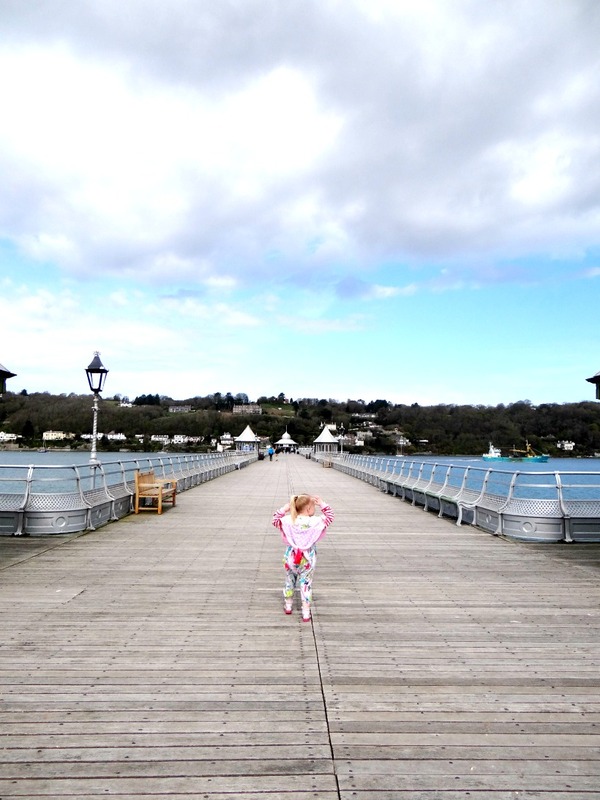 I don't think I have ever been to Bangor pier, I'd definitely like to explore that area of wales more, it looks beautiful. What a lovely spot and looks like a great day for it. Stunning photos! Wonderful photos, it looks like you had a lovely time! The pier looks really lovely, and I love the beautiful photos. What beautiful pictures you've shared and sounds like a lovely day spent with kids and friend.